A man in Minnesota is jailed for posting a photo of a tattoo that allegedly threatens the life of a local police officer. 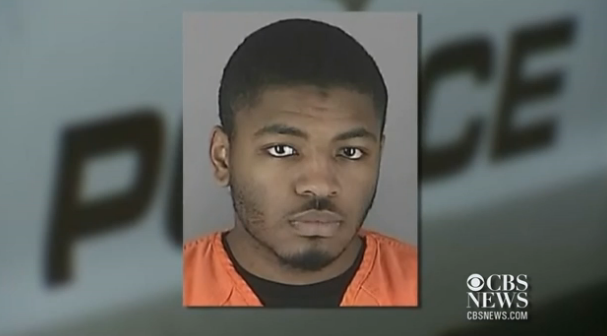 Edward Moody of CBS affiliate WCCO reports. Author Carl Zimmer spoke with Hari about his entry into this world of body art, the process of researching his latest book, "Science Ink: Tattoos for the Science Obsessed," and some of the surprises he encountered along the way. Florida dad was denied a visit on a career day. 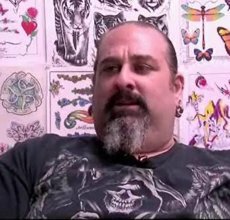 Parents at the school said they don't want a tattoo artist sharing what they call his "alternative lifestyle," with their kids. He said he practices a legitimate business and has every right to share his experience at his daughter's middle school career day. 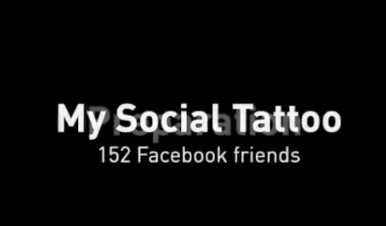 This chick decided to tattoo 152 of her closest friends onto the side of her arm. Who thinks this was a smart idea? 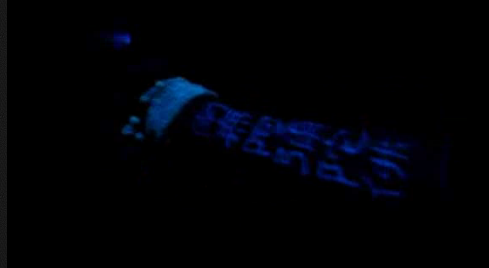 He frequently tells girls that he has a tattoo they can't see until they're alone in the dark. He rarely gets to show it to them. 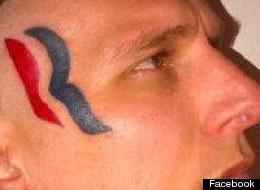 Somebody paid him $5,000 to get the Romney logo tattooed on his face, and he did it. Getting a tattoo you regret can lead to numerous treatments to have it removed. Though painful, those treatments are professionally done. But when this intoxicated man decides he is not happy with one of his tattoos, he decides to take matters into his own hands. 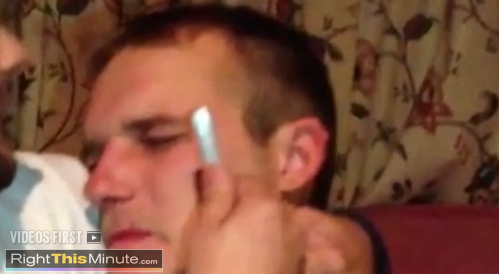 This is an example of how not to remove a tattoo. Mike McCardell found a couple of people trying to understand one another through their tattoos.